NOTE: The NANO USB receiver is inserted in the back of the mouse. Adopt the 2.4G frequency technology, working distance can reach to 8M-10M. 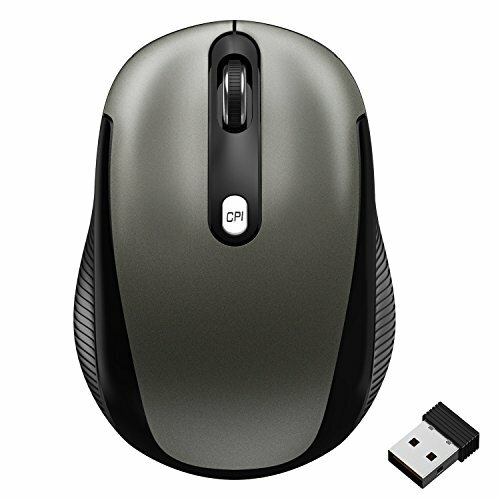 2.4G will give you a more comfortable, convenient and exact effect than the traditional FM radio wireless mouse. USB Nano Receiver which can be stored within the back of the mouse. Infrared technology ensures smooth track over a variety of surfaces. Tiny USB receiver occupies minimal space when attached to your computer. Soft rubber grip and contoured body deliver continuous, all-day comfort. Note: the USB receiver is inserted in the back of the mouse. Please make sure the battery is fresh and firmly secured, and please make sure the Nano receiver is inserted into PC firmly.